Today, Cision released its 2017 State of the Media Report, which shares findings from an annual survey of North American journalists, editors, producers and influencers. Respondents were asked for their opinions about the media industry and for information about their work practices. Ninety-one per cent of total respondents (83% of Canadian respondents) reported believing that the media industry is less trusted than it was just three years ago. 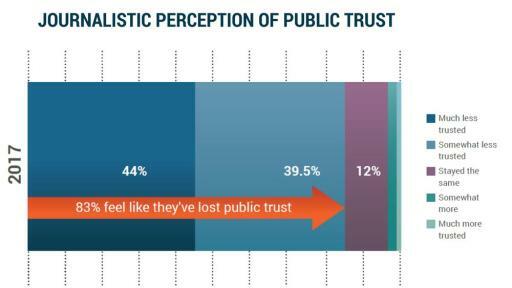 This finding aligns with the 2017 Edelman Canada Trust Barometer, which saw the public’s trust in media (and in government officials) drop 10% last year. Despite this finding, or perhaps because of it, journalists report being increasingly committed to accuracy – 92 per cent of respondents said that being right is more important than being first, up four per cent from 2016. 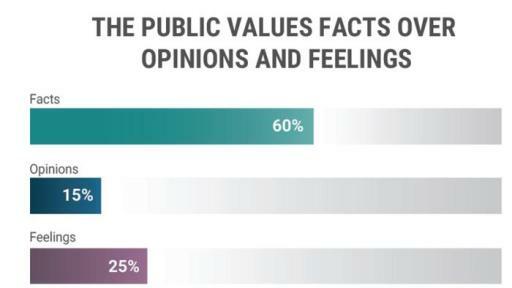 Sixty per cent of journalists stated that they believe the public values facts over opinions or feelings. Digital and social are the new “traditional media.” Journalists are now more likely to use images, videos, infographics and user-generated multimedia than data assets. Forty-one per cent say they use Facebook Live, 19 per cent are using Instagram and 17 per cent have used Twitter’s livestream feature. 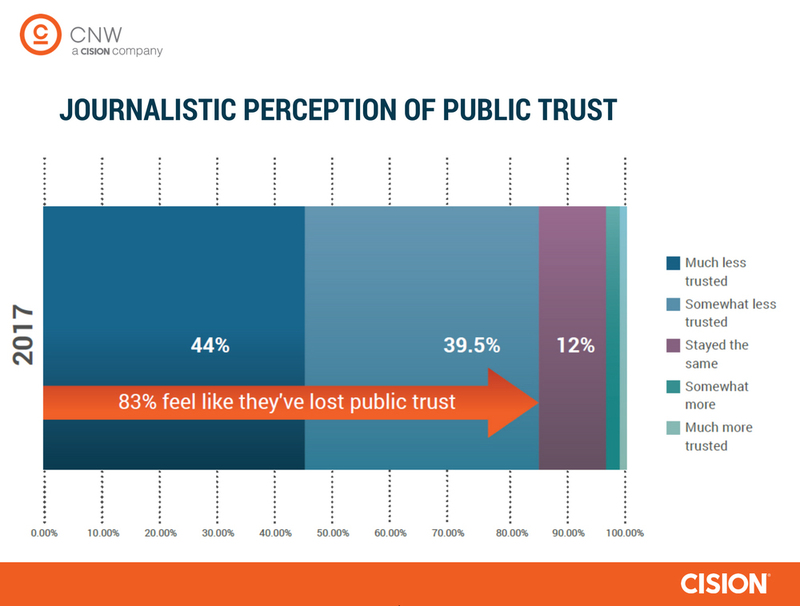 Journalists are also less trusting – of social media. Despite using social media more frequently, only 44 percent of journalists feel that social media is a reliable source of information, down seven per cent from 2016. 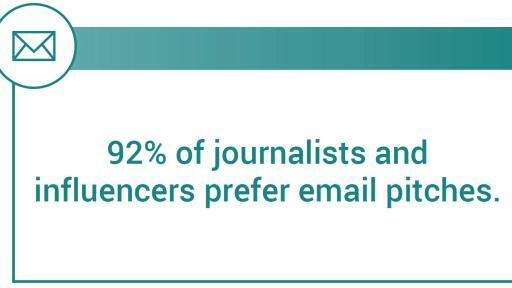 Reporters want tailored pitches, delivered via email. 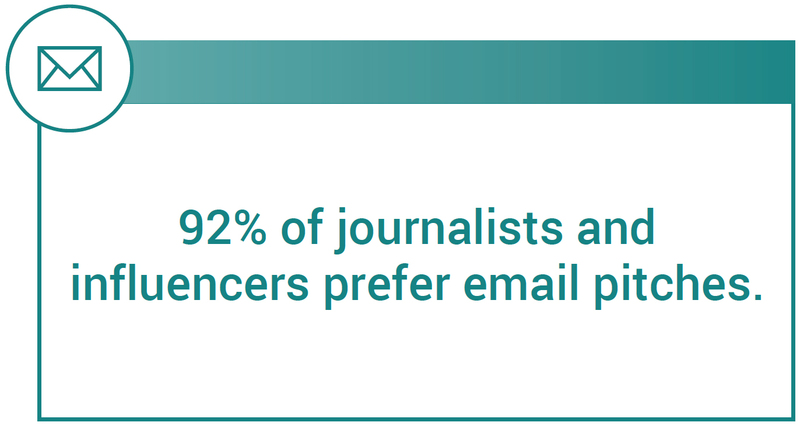 Ninety-two per cent of journalists preferred receiving PR pitches via email, and their top recommendations for PR professionals were to research previous coverage and tailor the pitch to the journalist’s beat. 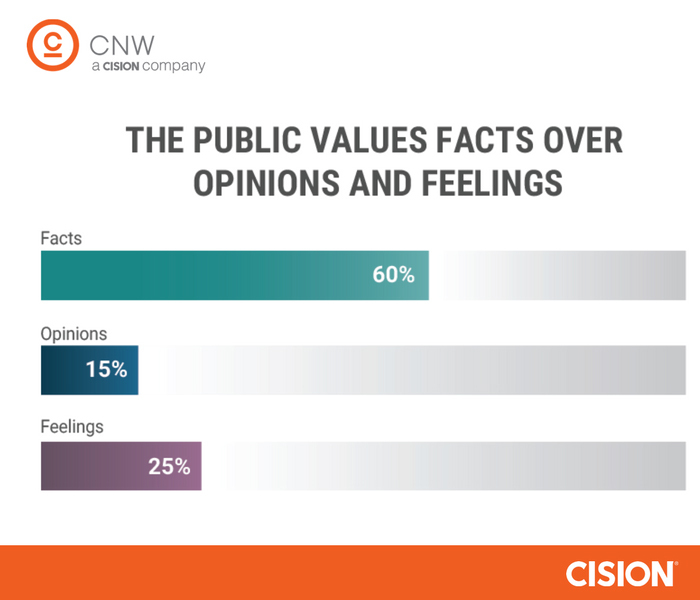 Surveys were emailed to members of the Cision Media Database, who are vetted by the company’s media research team to verify their positions as media professionals, influencers and bloggers. Of 1,550 total respondents, 200 work in Canada and 1,350 work in the United States. Interested participants can register for a free one-hour livestream session on March 29th with our expert panel from GE Digital, LEVICK and Cision as they discuss the issues changing how traditional media and influencers practice their craft. CNW Group Ltd. (a Cision company) gets people talking about our clients online and in the news. We distribute authenticated news releases and multimedia content in the right way and to the right places in order to fulfill disclosure requirements and maximize exposure, engagement and earned media opportunities. CNW also provides professional video, photography and webcast production, translation, regulatory filing services and IR website solutions.